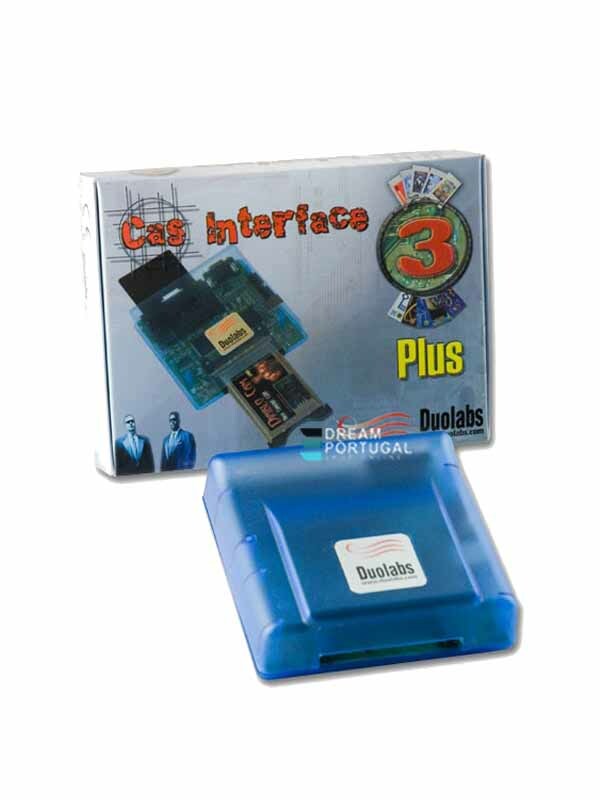 Cas Interface 3 Plus USB "NEW" - Buy at dreamportugal.pt! Cas Interface 3 Plus USB "New"
Yet again Duolabs strike back with another ground breaking device. The Cas Interface 3 (discontinued) and Cas Interface 3 Plus (from 2006). In a single product, the CAS Interface 3, combines all the superb features of the CAS Interface 2, its Add-On Board plus many additional options. This new release offers very advanced technical features. Unlike the CAS Interface 2, the CAS Interface 3 can fully manage PCMCIA connectors and easily connect external additional modules. Consequently the CAS Interface 3 can also be used by professionals to test a CAM (Conditional Access Module) without inserting it in a receiver. CAS Interface 3 also enables users to manage and program several types of SmartCard, which includes both current ones and those yet to be developed. Therefore the CAS Interface 3 can be regarded as a multifunction programmer suitable for the management of J-Tag, ISP, I2C, etc., through a USB port. All features are explained in the User Manual available to download from our duolabs site.